LOU MOUGIN was corrupted into comic book fandom when he was in the hospital as a kid and his mother bought him a copy of MOUSE MUSKETEERS. Later, he grabbed a copy of COLD DEATH, a Doc Savage novel, and was introed to pulp heroes. Since then he's written a lot of articles on comics, interviewed a lot of comics pros, and wrote comic stories for Marvel, Heroic, and Claypool. Lately he's worked for Lucky Comics, Heroic (again), Warrant, AC, Charlton Neo, InDellible, and whoever else will have him. For ProSe, which brought him into the prose field again, he's done the Frankenstein novel MONSTER IN THE MANSIONS and tales of Flare, Liberty Girl, and the League of Champions. He has also done the first Joe the Detective Computer story for Airship 21. To quote Jack Benny: "There will be a short pause while somebody says, 'Who cares?'" WHEN THE SHADOW SEES THE SUN is the realization of a concept of a brilliant creative mind that recognized certain things in himself, dark things. Things he thought he might not overcome. He conceived this idea, partly in jest, but more in earnest desire. A book focused on creative souls who experience depression and struggle with horrors that they exorcise by putting them to paper, but just can’t always let go of that way. He wanted there to be a book out there for creatives (and others who might benefit) by creatives to address the struggles so many endure and to offer ways to cope, to deal, and to move on. To overcome. Logan L. Masterson lost his battle with what plagued him on March 29, 2016. And this book, his idea, is now a reality, to help bring to light the issues creative souls do endure, many similar to anyone else, some unique to our own little family. All proceeds from this book will go to a variety of charities, local as well as state and national, to promote suicide intervention and prevention as well as to assist with working through and surviving depression, with a focus being on those who are artists, writers, performers, etc. affected by this. In these pages, authors John G. Hartness, Tim Byrd, Ernest Russell, Phillip Drayer Duncan, Mark Bousquet, Thomas R. Skidmore, Nikki Nelson-Hicks, Andrea Judy, Scott Hancock, Joe Hilliard, Herika R. Raymer, Melinda LaFevers, Alexander S. Brown, Joseph Lamere, Lee Houston Junior, Ethan Nahte, Kristi King-Morgan, Jason Holmes, Lou Mougin, Judy Wall Crump, Mark Steinwachs, Nancy Hansen, Chuck Miller, Aaron Smith, I. A. Watson, Neth Williams, Ellie Raine, Lisa Collins, Tommy B. Smith, H. C. Playa, Sean Taylor, M. B. Weston, JC Crumpton, Gordon Dymowski, J. H. Fleming, Jef Hewitt, and Jim D. Gillentine tear open their souls for you to read. Introduction by Julianna Robinson. Cover by Adam Shaw. And make no mistake. This book is about and because of Logan L. Masterson. She Was a Beacon of Justice During the Dark Days of World War II. She Continues Her Heroic Battle Against Evil Today. Then and Now, Liberty Girl’s Fight has always been the same - A FIGHT FOR FREEDOM! 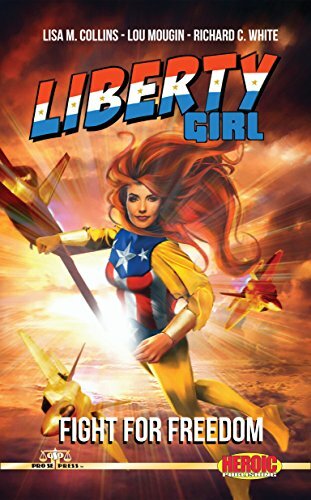 Pro Se Productions Proudly presents the second book based on Heroic Publishing’s LIBERTY GIRL. With tales by Richard C. White, Lou Mougin, and Lisa M. Collins and based on concepts created by Dennis Mallonee, LIBERTY GIRL: FIGHT FOR FREEDOM takes readers to the core of this stunning Heroine, revealing what makes Her tick, why She wars against Injustice, and how, no matter how powerful a force challenges her, She will never surrender freedom, hers or anyone else’s. Alone, they are heroes. 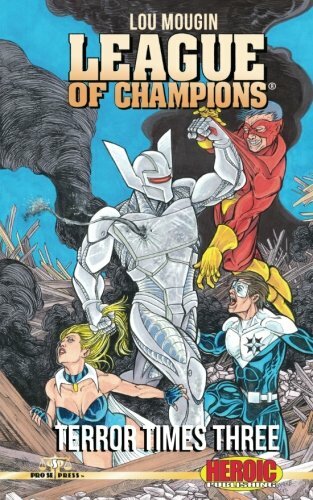 Together, they are a force for justice-The League of Champions. 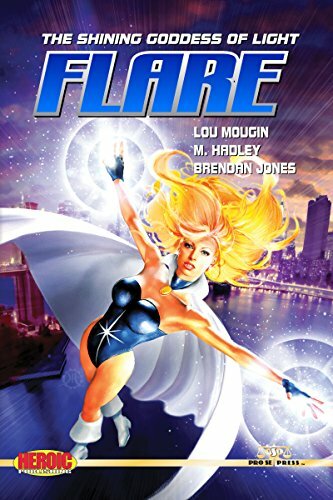 In TERROR TIMES THREE, the first prose collection featuring the Heroic Publishing's premiere team of heroes, Author Lou Mougin pushes the League to its limits! 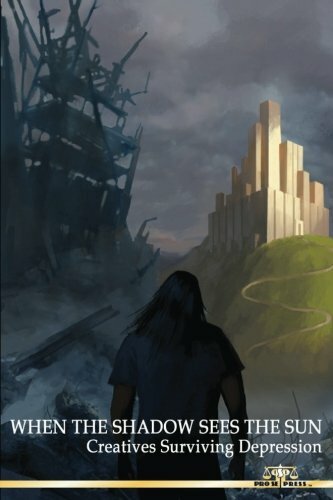 A demonic entity captures the president, replaces him with a doppleganger, and a handful of heroes face him in the highest-security area on Earth. A malevolent robot declares war on the human race, but not until he destroys a wheelchair-bound mystic and the allies who stand beside him. The League must decide whether or not to let their group strength dwindle, or accept the services of the deadliest sorceress of all.